Can I borrow the books of the physics library? Yes if you're ETH student as well as ETH staff member, or a registred as a NEBIS user. If you are not yet you may register here. Once you're registred you have to pass by your home library to let it activate your account. After that we'll show you how to borrow books from the physics library. Your library account also allows you to borrow books from several NEBIS libraries. How long can I borrow the books of the physics library? Unless requested elsewhere, the first loan period is twice followed by an automatic renewal of a further loan period in each case. In your user account, you can renew the loan period by a further loan period for maximum of three times yourself. After the maximum loan period has expired, the documents must be presented at the library desk. The documents may be reserved by other users at any time and in this case will be recalled at the end of the loan period. Renewals must be monitored in the user account. No correspondence is conducted for this. If absences (military service, holidays, living/working abroad, etc.) last longer than the loan periods of borrowed documents, please return the documents beforehand. How do I get a library account? You may register online or go in any other NEBIS library to do so. Please note that anyone qualifies for an account, not only ETH members. E.g. private persons may also get a library account. ETH students and staff menmbers are automatically registered. I forgot my password or/and my ID, where do I get help? 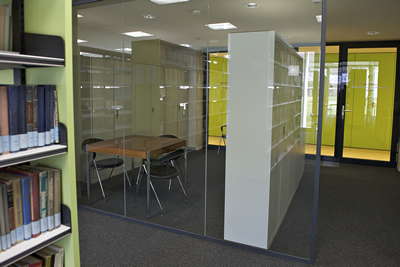 If you can't remember your NEBIS ID-Number or/and password you should pass by the physics library (or any other NEBIS library) and bring along an ID (as ETH badge, driver licence etc.) to reset your account. How can I get my books delivered to the physics library? 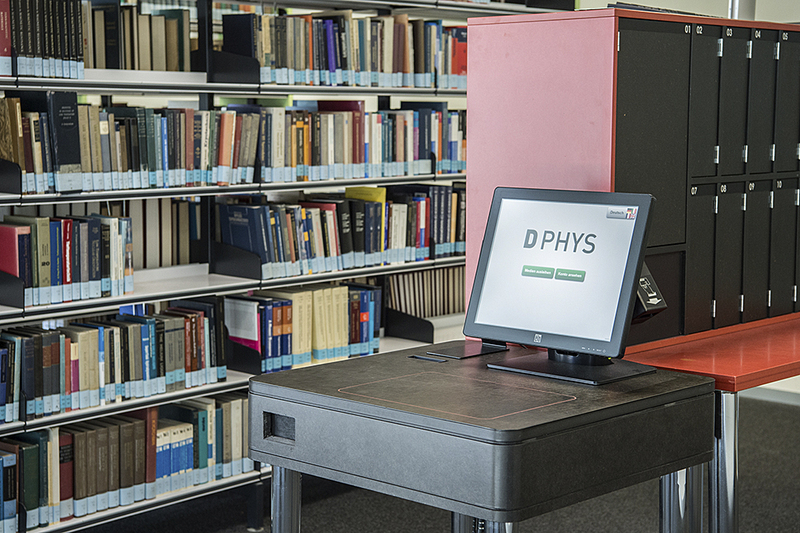 Choose the physics library as your home library when you register. If you have already have a NEBIS account you have to apply for this change by email, phone or just come to our information desk. Where do I return the books in the physics library and may I return also books from other libraries? The books return box is just on the right hand side of the information desk, see picture . Yes you may use the return box in the physics library for all books, including the ZB books. 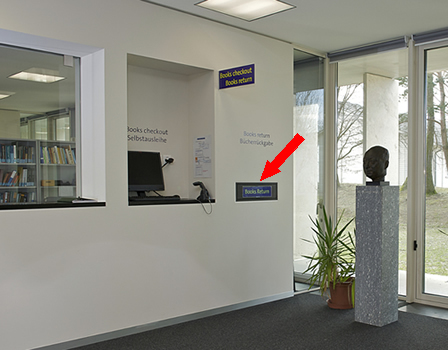 It is located on the right hand side of the infodesk. How do I check-out books from the physics library? Go to the books check-out terminal . It's just behind the books cabinet. 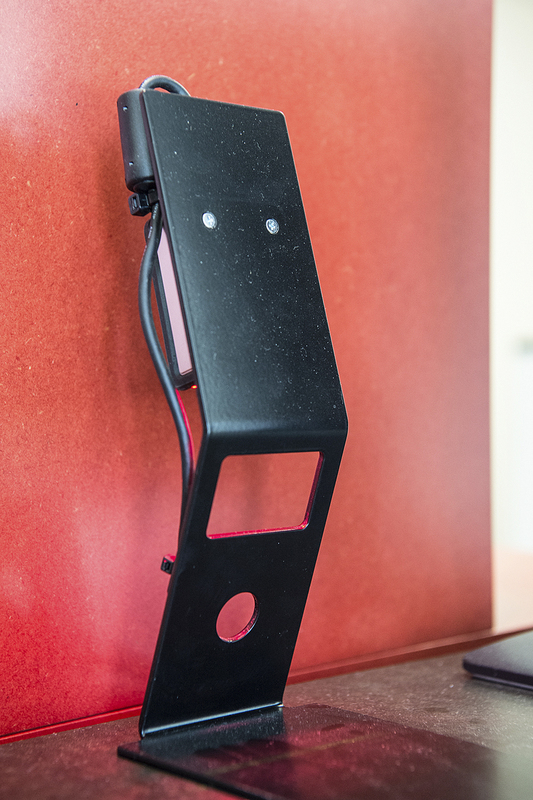 Use the barcode reader on the left hand side of the monitor to enter your library ID. Please check on the monitor that all the books have been checked out correctly, otherwise put them one after the other on the table. You may print a receipt of all books that you've checked out. Are there any workspaces in the library? Yes there are 32 workspaces available plus 4 computers spaces. Please note that you have to register at the helpdesk of the ISG (Building HPT, H-floor) to get an account for using these computers. One of the computer has a scanner that can be used. A vpp-printer station is available as well as a Xerox machine in the seminar room of the library.